Tabula Rasa: "A doodle. 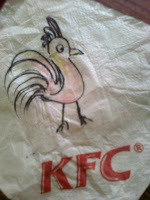 I do doodle. You, too. You do doodle, too." 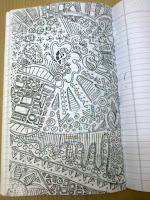 A great insight, well I must confess that most of my blog posts are result of doodling during my lectures. Yes..I do this all the time..and it helps..really! Thanks! :) I did it, yep, you'll find half my notebooks filled with such stuff! Ah, that's a better phrase actually. 'Modern art', has a good, more 'expert' ring to it, even though I hardly like any of the actual modern art!! But I like the way the word 'doodle' sounds! Lol!